This entry was posted in France, Paris and tagged architecture, europe, France, notre dame, Paris, photography, photos, travel by Babak Haghighi. Bookmark the permalink. 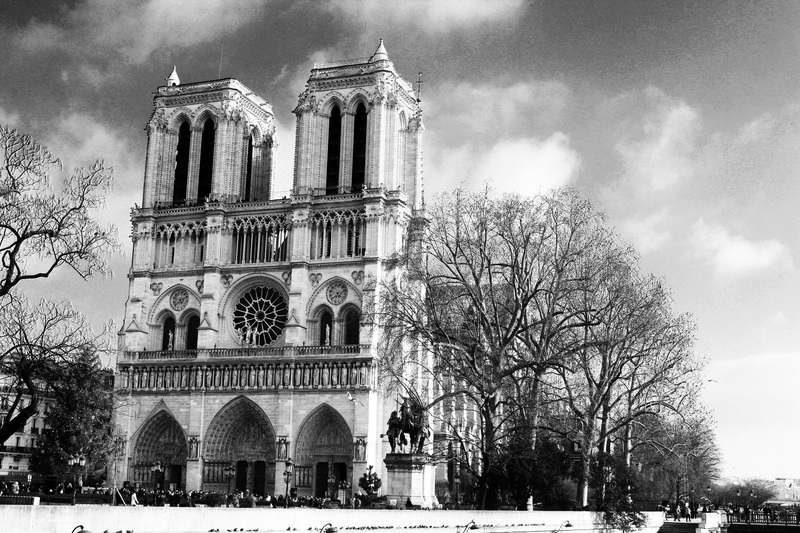 The Notre Dame de Paris is truly a stunning place. I like how your use of black and white to really set off the architectural detail. Thanks for sharing. Cheers.